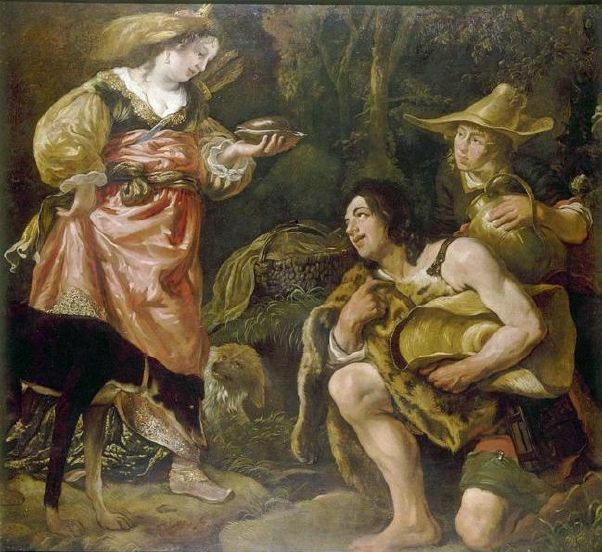 Granida and Daifilo were lovers from the Dutch pastoral play Granida, written in 1605 by Pieter Corneliszoon Hooft. Granida, the daughter of a Persian king, betrothed to Prince Tisiphernes, lost her way while out hunting. She came upon a shepherd named Daifilo and his mistress Dorilea who had just quarrelled. Daifilo fetches water for the Princess Granida to drink and the smitten youth immediately forgets Dorilea. Granida and Daifilo fall immediately in love. He follows her to court and, after several further twists and turns in the story, the pair escape to lead a sweet pastoral life together. Daifilo was taken prisoner by one of Granida's several suitors. They were finally reunited after the intervention of Tisiphernes who yielded his claim to her and took pity on the young lovers. 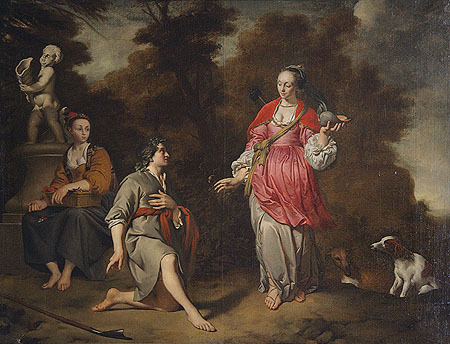 The play set a fashion for pastoral idyll in the Netherlands where Granida and Daifilo became iconic symbols of love. The play is noted for the delicacy of its poetry and the simplicity of its moral: that individuals and nations can be at peace only when rulers and subjects alike shun ambition and seek only to serve. Though not well known today, it was a very popular work in early 17th century Netherlands, and Granida and Daifilo were the subject of many important paintings by Dutch masters.